While Americans have already started turning in their ballots, and millions more will turn out to their local polling places on Nov. 8, the future occupant of the White House will ultimately be determined by a small number of electors who make up the Electoral College. Each state has a different number of electors, and those electors are bound by different rules in each state. But in Nevada, there are six electors, representing 1.1 percent of the total 538 electoral votes that will be cast in the 2016 presidential election. Nevada's electors will formally cast their votes for president and vice president on Dec. 19, when the Electoral College meets in each state. Overseen by the Secretary of State, electors will be given six copies of two ballots each — one for president and one for vice president. The six copies are distributed to various state and federal officials, who will certify the results of the election. Once every state's elector has returned their ballots, the full electoral college vote will be counted by Congress. 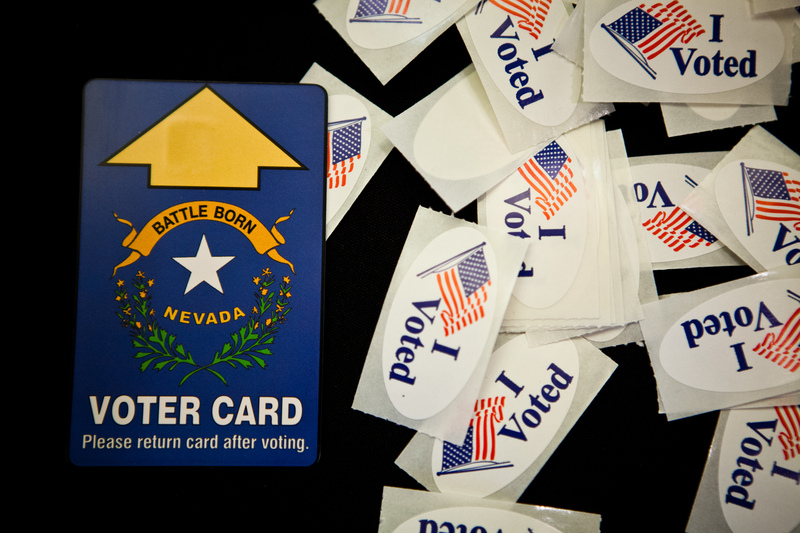 As a winner-take-all state, Nevada's electors are legally required to cast their vote for the candidate who won the most votes in the state. All electors in the state (and alternates, who are to step in if an elector is unable to perform her duty) must sign a pledge promising to vote for the candidate who won the popular vote, regardless of their personal political affiliation. In the 2012 election, all six electors cast their votes for President Obama, who won 52.3 percent of the popular vote that year, according to Politico. Nevada has a knack for picking the winner of presidential contests, as a majority of the state has voted for the candidate who would go on to win the election in almost 90 percent of the elections since 1900, according to Ballotpedia. Electors are selected during each major party's annual convention during the year of a presidential election, which means each elector must be a registered member of a major political party. Generally speaking, electors are not publicly named until after they have cast their votes in December. Federal law forbids current members of Congress, or any "person holding an office of trust or profit under the United States" from serving as a state elector.